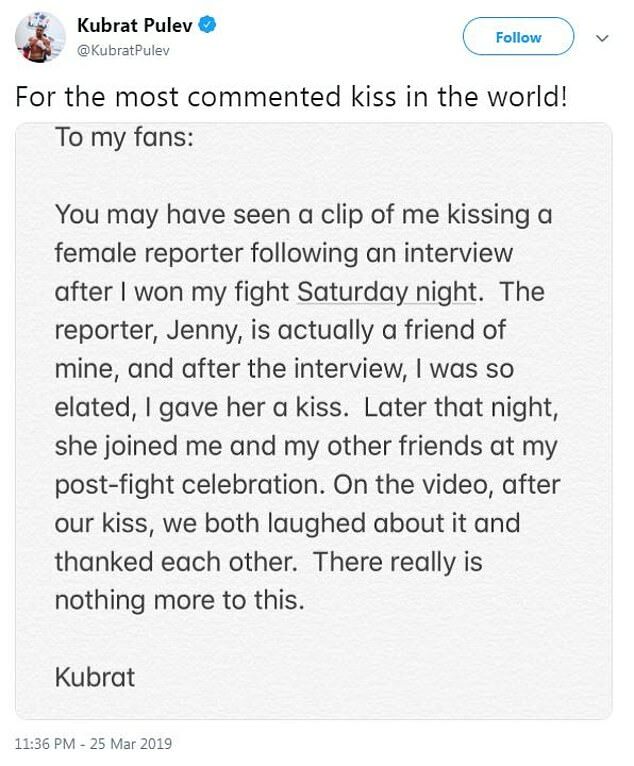 Kubrat Pulev has been defended by his girlfriend after he was suspended by the California State Athletic Commission for forcefully kissing a female reporter following his win over Bogan Dinu. The reporter, Jennifer Ravalo, has since enlisted the services of attorney Gloria Allred and Pulev is now facing further scrutiny over the post-fight kiss. His girlfriend Andrea told the Sun: ‘This is very serious. This is his life. I find this to be extremely unjust, it is killing him. A decision was taken on Friday by the Commission in California to hand the Bulgarian fighter a suspension. The decision to suspend him from California means Pulev is still free to box in other US states or other jurisdictions around the world. But his case could rumble on for months to come, overshadowing the Bulgarian’s career moving forward. His girlfriend Andrea, real name Teodora Rumenova Andreeva, called the kiss ‘a joke’ and has given her complete backing to the heavyweight star. In an uncomfortable interview following the fight in Costa Mesa, SuShe asked Pulev whether he had a shot at facing Tyson Fury in the future. Pulev responded ‘yes’ before grabbing SuShe and kissing her on the lips. After he was heavily criticised online, the boxer then insisted the pair were actually ‘friends’. 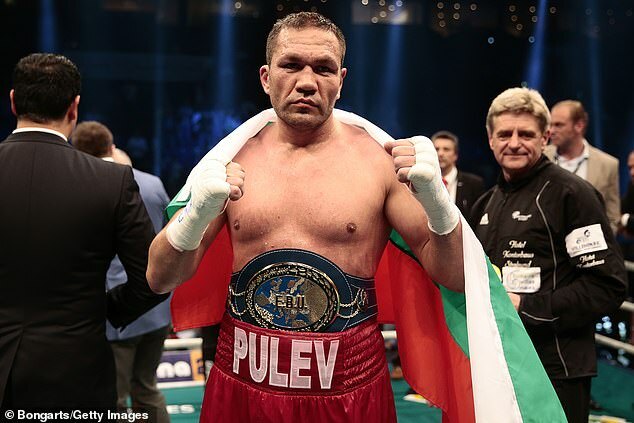 But the reporter gave a different version of events and for Pulev, a fighter who was due to take on Anthony Joshua in 2017, he faces a long legal battle. SuShe had a picture of her with Pulev on her Instagram account. However, she has since removed the post. SuShe claimed Pulev’s kiss was ‘disgusting’ and left her feeling ‘humiliated’. ‘I was immediately shocked and embarrassed, and didn’t know how to respond,’ she said. ‘Next, I walked to the table to put my items in my backpack. He grabbed both of my buttocks and squeezed with both of his hands. ‘Then he walked away without saying anything to me and laughed. ‘It made me feel uncomfortable and frustrated that Kubrat Pulev would treat me in such an unprofessional manner. ‘I did not encourage or consent to Mr Pulev grabbing my face, kissing me, or grabbing my backside. ‘I was there at the event covering the boxing match as a professional member of the press.